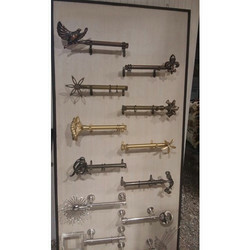 Leading Supplier and Trader of Curtain Rods such as Stylish Curtain Rods and Wooden Curtain Rods from New Delhi. 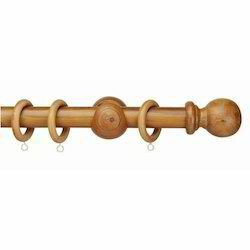 Being a notable enterprise of this realm, we are offering a widespread variety of Wooden Curtain Rods, which is used to hold the curtain rods in an efficient manner. These products are developed making use of advanced technology and high quality material by expert employees. We provide these products in wide variety of stipulations at inexpensive prices. Available Material SS, Wood, Brass etc.